These Large Universal Hood louvers are an excellent choice for hoods with a large, relatively flat area for installation. 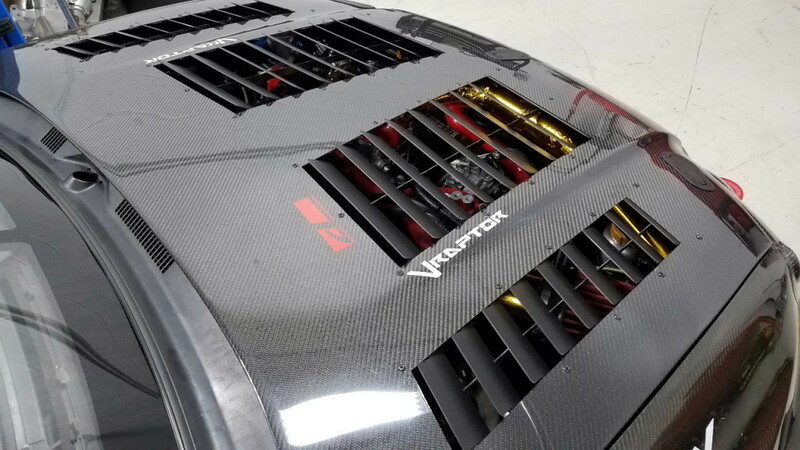 These are designed to mount to the underside of the hood, with only the louver blades showing from the outside, but could also easily be surface mounted to the outside of the hood if you choose that option. Each panel requires a cut opening that is roughly 11″ wide and roughly 21″ long. 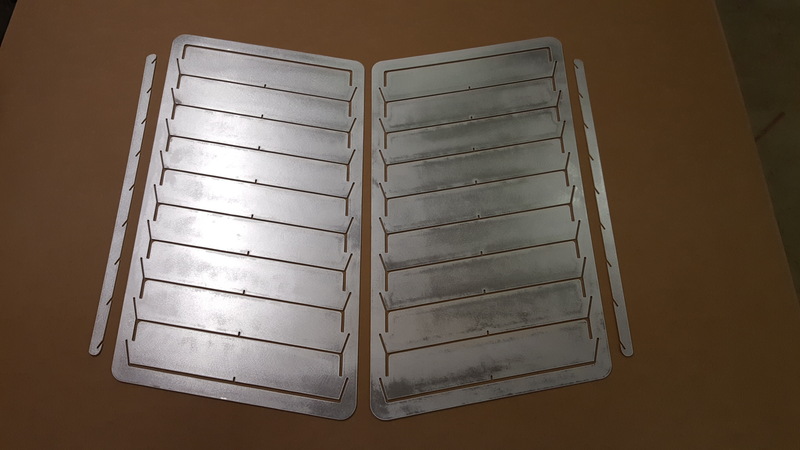 As with most of my louvers, these are made from .080″ Aluminum and are shipped to you flat, so that you can use the flat louvered panel as a template to mark out the cut opening in your hood. Louver blades are easily formed by hand to the proper angle (using the supplied braces as a gauge to get the angle correct). 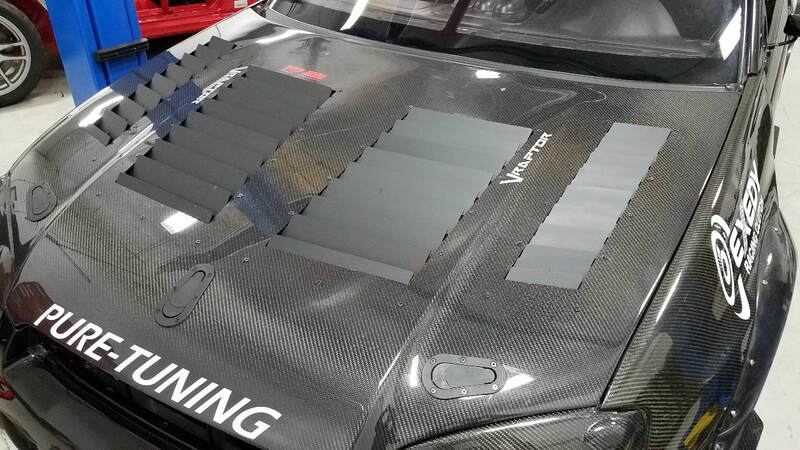 Install the brace by engaging the slots in the brace to the slots in the louver blades and bond the brace in place using epoxy on the bottom side of the louver blades so it will not be seen from outside the car. 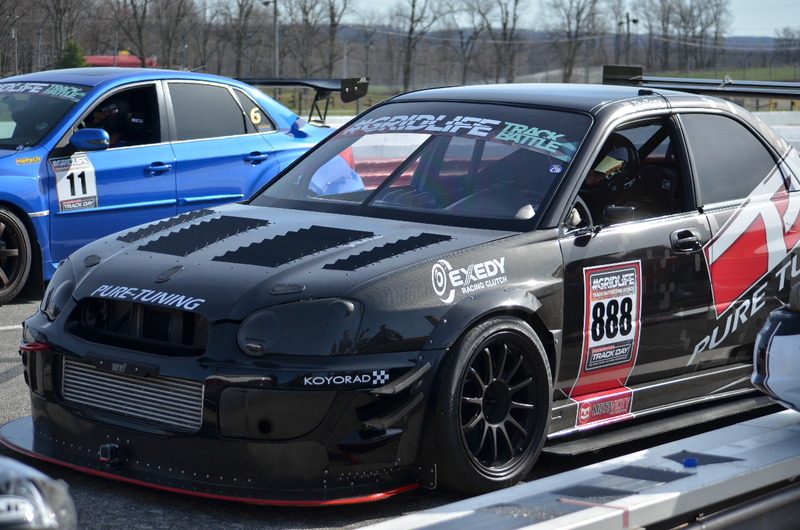 These are the larger louvers in the center part of the hood shown.